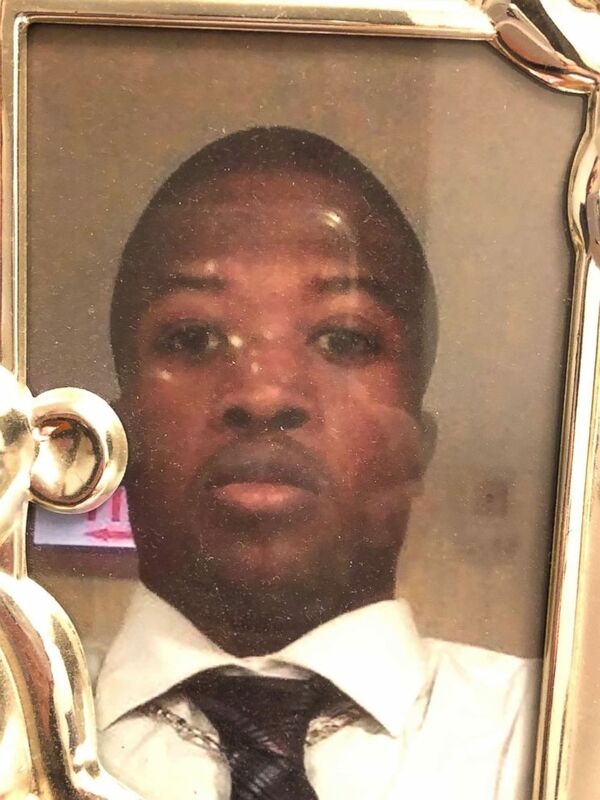 Police in Midlothian, Illinois said the officer involved in the fatal shooting of armed security guard Jemel Roberson is a white man and described Roberson's tragic death as "the equivalent of a 'blue-on-blue,' a friendly-fire incident." The officer who shot Roberson has been with the Midlothian Police Department for nearly four years and had three years of prior service with another agency, Chief Dan Delaney said in a statement Wednesday. Roberson is a black man. "The Midlothian Police Department is completely saddened by this tragic incident and we give our heartfelt condolences to Jemel, his mother, his entire family and his friends," Delaney said in the statement. "There are no words that can be expressed as to the sorrow his family is dealing with." The officer, who is assigned to the patrol division and a team leader on the regional SWAT team, is currently on paid administrative leave, per standard policy, Delaney said, pending the outcome of an investigation by the the Illinois State Police Public Integrity Task Force. He has not yet been publicly identified. A little after 4 a.m. Sunday, police in Robbins called for assistance from additional area police departments as it responded to a call about a shooting at Manny's Blue Room Bar, according to Midlothian police. Midlothian police said two of its officers went to the bar to help Robbins police. When officers arrived, Midlothian police said, they learned there were several gunshot victims inside the bar. Jemel Roberson in an undated family photo. A Midlothian police officer encountered Roberson, 26, of Chicago, a security guard at the bar, authorities said. He was in a parking lot outside the bar, trying to subdue a suspect in the shootings, witnesses told Illinois State Police investigators. In a report on its preliminary investigation released Tuesday, Illinois State Police, which is handling the police shooting, said Roberson was dressed "in plain black clothing with no markings readily identifying him as a security guard." Roberson was shot by the Midlothian officer after being given "multiple verbal commands" to drop his gun and get on the ground, according to witnesses, Illinois State Police said Tuesday. Roberson was later pronounced dead at a hospital, Delaney said in a statement released hours after the shooting. "We have learned a lot about Jemel over the last two days and he was [a] great man that was doing his best to stop an active shooter that evening," Delaney said Tuesday. Greg Kulis, an attorney for the Roberson family, told ABC News Tuesday that witnesses had told him people saw the officer raising his weapon toward Roberson and had yelled "He's security! Don't shoot! He's security!" At a news conference in Midlothian Wednesday, an attorney for the Roberson estate called for the officer to be immediately fired. "We believe that this officer's behavior was so egregious that he should be immediately terminated," lawyer Lee Merritt said. A memorial for Jemel Roberson, Nov. 13, 2018, outside Manny's Blue Room Lounge in Robbins. Merritt, who represents Roberon's heirs, including his 9-month old son, Tristan, and Tristan’s mother, Avontea Boose, also revealed that Boose is pregnant with Roberson's second child. Like Kulis, Merritt cited witnesses who contradicted Tuesday's statement from Illinois State Police. Merritt said witnesses claimed that Roberson was wearing a jacket, hat and vest that said "security." "Jemel had every reason and every justification to use deadly force against the suspect he had apprehended. ... He decided that he could apprehend him, he could subdue him without killing him and he made a decision to. That’s the least of which we can ask from the police department. From Midlothian or other police departments around the country,” Merritt said Wednesday. Kulis has filed a wrongful-death civil lawsuit against the as yet unidentified officer and the village of Midlothian. Merritt said he is filing a civil rights lawsuit in the case. At least four other people were shot and wounded in the bar incident, the Cook County Sheriff's Office said. "He had somebody on the ground, with his knee in his back, with his gun on him, like 'Don't move,'" Adam Harris told a CBS affiliate. "Everybody was screaming out 'Security!' He was a security guard." Roberson was an organist at local churches, ABC News affiliate WLS-TV said. Eric Russell speaks as protesters rally for Jemel Roberson, Nov. 13, 2018, outside the Midlothian Police Department. The Illinois State Police Public Integrity Task Force continues to investigate the police shooting, which is the Midlothian Police Department's policy, according to Delaney. The Cook County Sheriff's Police and Robbins Police Department are investigating the "criminal aspect," Delaney said. 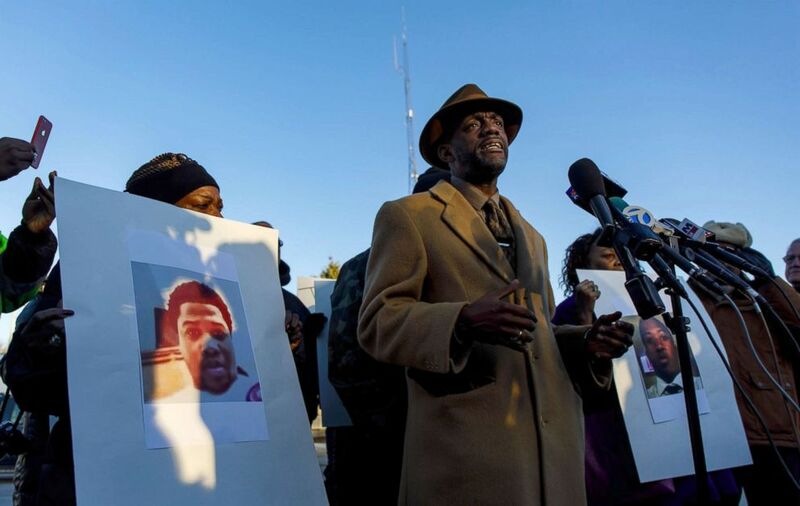 During a news conference Wednesday, pastors called for the police officer who shot Roberson to resign immediately and Kim Foxx, Cook County's state attorney, to investigate the shooting. 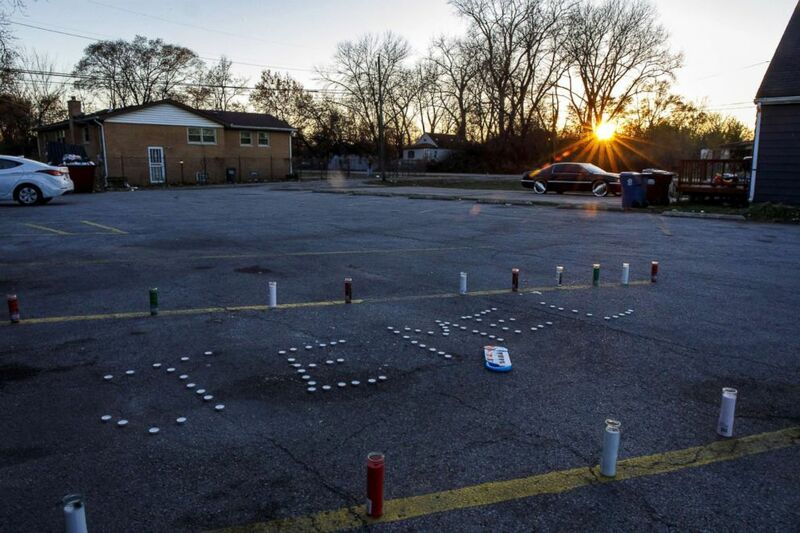 "Too many times in the southern suburbs, homicides take place and they’re swept under the rug. We won’t allow this to be swept under the rug," Pastor Anthony Williams said. ABC News' Will Gretzky, Andy Fies and Susan Schwartz contributed to the reporting in this story.